Welcome to Melanin Base Camp: your home base for diversity in outdoor adventure sports. Our purpose is to inspire you with weekly content from Black, Brown, Asian, Indigenous and Queer People of Color who love the outdoors. Join the movement and help us #diversifyoutdoors. Check out our Featured Bloggers page to hear firsthand accounts from Black, Latinx, Asian, Indigenous and LGBTQ2IA people who love the outdoors! Want to learn how to kayak? Planning a weekend hiking trip or a visit to a national park? Check out our Trip Reports page for relatable content from our team of bloggers. We tackle how to get started, what type of gear you’ll need and interviews with grassroots activists, environmentalists and educators as well as complex issues like race, gender and gender identity in outdoor recreation. Looking for gear to purchase? Before you do, check out our Gear Reviews page. Join the conversation at Around the Bonfire and submit your own article to the blog. Finally check out #DiversifyOutdoors to connect with other organizations promoting diversity in the Outdoors. Learn more at DiversifyOutdoors.com! And don’t forget to follow us on Instagram and Facebook. Danielle is the founder of Melanin Base Camp and co-founder of Team Blackstar Skydivers. The Army pushed her out of her first airplane in 2006 and she’s been in love with adventure sports ever since. 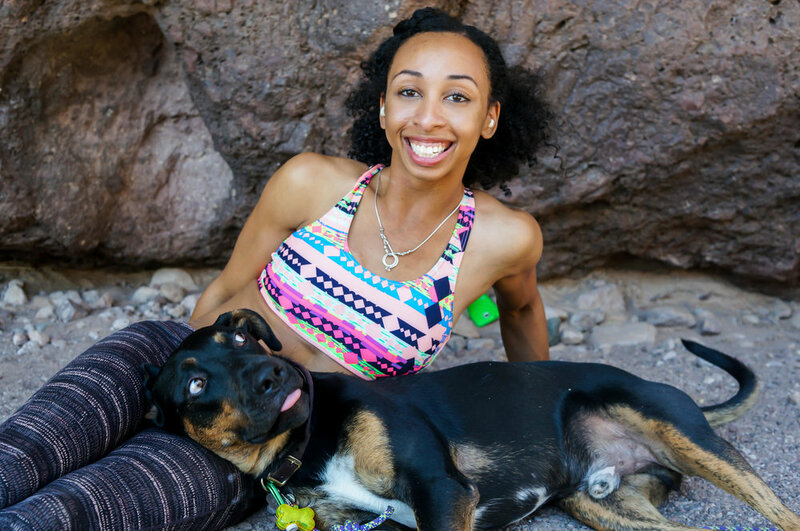 Favia is a photographer, climber and member of Brown Girls Climb. She enjoys practicing medicine and maintains an active lifestyle with her husband, rescue pup and five cats. David Rozul is embarking on a year of climbing throughout the Pacific Northwest United States. He enjoys telling stories that remind us of the potentially we all have to do extraordinary things. Nadia is an active climber, hiker and skydiver from North Carolina as well as a Cardiac nurse. She loves to challenge herself and others by conquering her fears in the outdoors. Adam is an Oregon based whitewater kayaker chasing the dream of traveling and paddling the most exciting Class IV and Class V runs across the US. Wai Yi Ng is an Asana and Giddy climber making big moves on Oahu's bouldering scene. She's also active on the board of the Arch Project. Hamziye’s connection to the Outdoors is a source of resilience and strength. Whether she’s hiking in the PNW or Oromia, nature offers an escape and a source of identity. Brandon is an Air Force veteran and professional skydiver living and working in the United Arab Emirates. He enjoys canopy piloting, wing-suiting, B.A.S.E. jumping and free-flying with friends. Rebecca is an alpine climber and backpacker based in the Pacific Northwest. She enjoys wolverine survey tracking & volunteering with local search and rescue! Caroline is a multi-sport adventurer in Park City, UT who enjoys skydiving, climbing, and skiing all over the United States. Follow us on Instagram @melaninbasecamp! Stay up-to-date with Melanin Base Camp! Melanin Base Camp - How Does This Site Work?